John D’Agata, described as “a young writer of rare intelligence and artistry… redefining the modern American essay,” will read and sign his books Thursday, March, at 7 p.m. in the University of Wyoming Art Museum in Laramie. He has been an editor at the Seneca Review and “The Next American Essay” and received a National Endowment for the Arts fellowship. 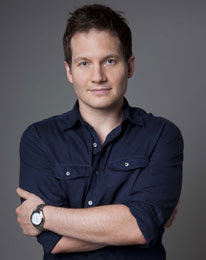 D’Agata taught writing and literature courses at Colgate College, UW, California Institute of the Arts and the University of Iowa, where he now serves as a permanent faculty member of the nonfiction program. D’Agata received his B.A. from Hobart College and his MFA from the Iowa Writers Workshop in both nonfiction and poetry. For more information, visit the MFA Web site at www.uwyo.edu/creativewriting or e-mail Beth Loffreda at loffreda@uwyo.edu.